Many students on our popular chainsaw & tree climbing courses are keen to get involved in forestry and arboriculture in it’s widest sense, beyond the seemingly universal entrance point - the City & Guilds NPTC Assessment. As part of our wish to deliver a training package that is integrated to the estate management and arboricultural industry we provide information and hopefully inspiration on a range of processes that come before and after the tree felling bit….from the woodland & tree surveys and management plans to the timber extraction and utilization that happens after. 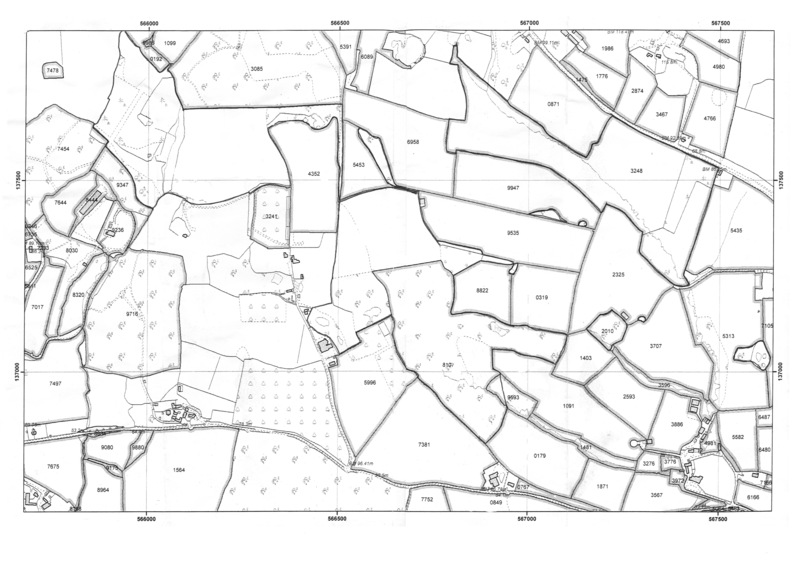 So let us know if you would like to look at the management plan we produced for the estate in Lamberhurst, or perhaps discuss the Stewardship grant application process. The Institute of Chartered Foresters and Forestry Commission recently presented a series of workshops on ‘better management plans’ – how to work with the management plan templates and meet the nine UK FC standards, and I went along to the one run in Arundel, West Sussex. The session started with some networking – it was good to catch up with James Noble of ESUS Woodlands, David Saunders from Woodnet at the Enterprise Centre Flimwell and some Plumpton College staff. Nevile Elstone, from Cumbria Woodlands, introduced the day with a Q & A session to get us thinking about the interface between the state and woodland managers. Scott was very pleased to win a chocolate upon correctly guessing the identity of Neville’s drawing – the woodland officer! Unfortunately, with the budget cuts that have been made, woodland officers are under pressure, and Neville hinted at some ideas to save money that he would outline later, and that the current situation where the state does not charge for permissions is unlikely to last. Following this, FC staff Alison Field, Kevin May and Patrick Stevens talked us through the parts of the management plans and importantly how they are evaluated once submitted. For the latter part, they were perhaps preaching to the converted, as most in the room were agents who have been submitting high quality management plans for a while. Since 2006 a total of 3147 plans have been supported through Woodland Planning Grants comprising 228,000ha of woodland, at a cost of around £7million. Obvious benefits of a UKFS Compliant and FC Approved plan were early access to the grants through countryside stewardship and then through the regulation such as felling licences. 1. Have balanced objectives been stated? 2. Does the strategy adequately consider the forest context and potential? 3. Do proposals reflect designations? 4. Is felling & restocking consistent with UKFS principles? 5. Is the degree of consultation appropriate? 6. Is structural diversity created or improved? 7. Is age class diversity improved? 8. Are previous achievements noted and is there a stated year review? 9. Are woodland creation proposals consistent with UKFS and FC guidance? The overall theme of the presentations seemed to be that early consultation with the FC and Natural England, created less hold ups. Good engagement with all stakeholders from the start and throughout the works is also beneficial. Laura Henderson highlighted some exceptional cases where there had been up to 8 exchanges between the FC and the agent to refine the plans. These exchanges cause on average 8-10 months of delays. It was acknowledged that these delays and the paperwork are seen as a barrier to the outcome of positive woodland management and the presenters were keen to know how they can encourage agents to actively manage their woodland through the FC. At present 20% of England’s private woodland is actively managed through a FC approved management plan, with the average area being 72ha per plan. Effective use of maps, and photographs was also emphasised, together with the need for robust monitoring when the work is actually underway, and, with the need to satisfy the bean counters, this is a lot easier if done from the start of the work agreed on the new Stewardship grants scheme, for example with photographs of before, during and after works. Neville then outlined the idea of ‘Earned recognition’ where, based on a proven track record, agents could apply for simple felling license applications and there may be a light touch or no involvement from the FC. On management plans a pilot in the West Country had been run where known agents had had a sample of plans checked before approval. This would allow the woodland officer to focus on more complex plans. Finally there was an open ‘surgery’ with our woodland officer to conclude the day, which Scott took advantage of! There are always a few woodland creation options for the site!